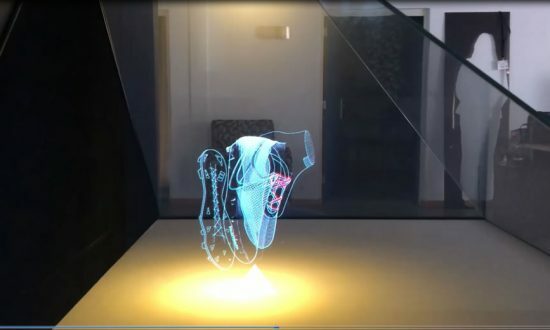 New event for Nike International, Glimm produced hologram pyramid for new product what was launched in 4 cities in Europe – Sevilla, Munchen , Kopenhagen and Berlin – on big sport event in soccer. Glimm delivered a big pyramid and made the hologram in the Glimm 3D pyramid for international design agency in Amsterdam with offices around the world. The 3 side pyramid had a 50cm x 30cm hologram with original product as well in side the pyramid.